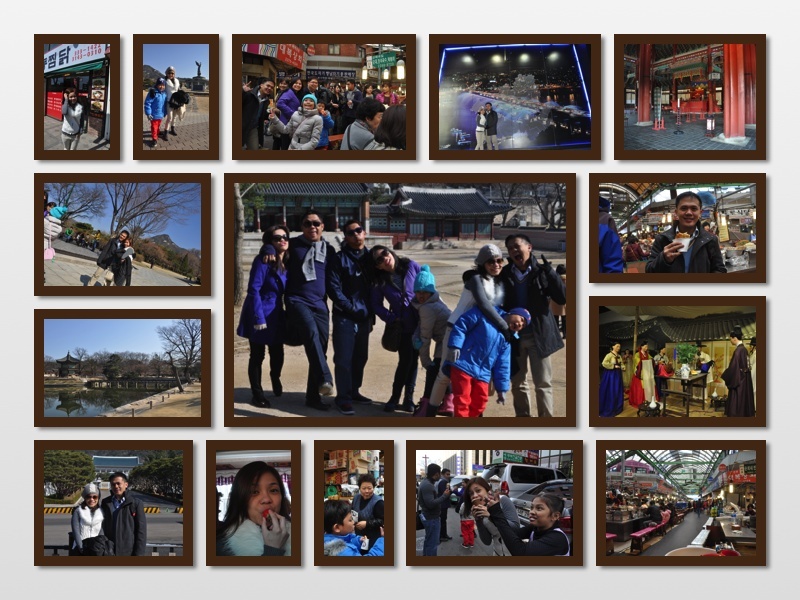 The Reluctant Storyteller: Our Korean Escapade! My mother called me up one January morning, totally out of the blue. "I-ready mo ang passport niyo ni Mon. Punta tayo sa Korea sa Holy Week." "Ha? Expiring na yung passport ko in 6 months. I can't travel na." "Edi ipa-renew mo na para umabot. Bilisan mo na ha. Kukuha pa tayo ng visa. Kausapin mo ate mo. Siya yung may alam ng details." "Ha? Hindi na lang kaya kami sasama ni Mon?" "Anong hindi sasama? Sumama na kayo. Ayaw mo ba dun?" "Ay sige na, magpa-renew ka na ng passport mo." 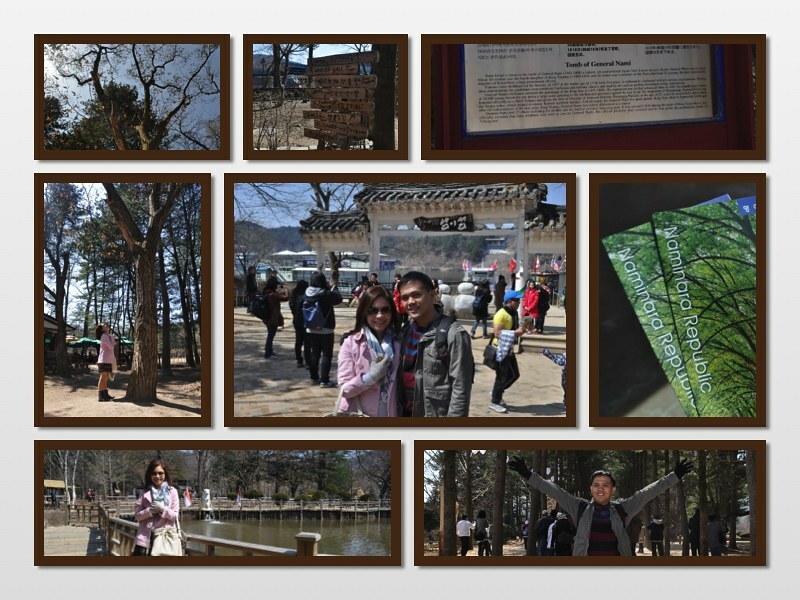 This island is the shooting venue of the hit Koreanovela "Winter Sonata". Where the husband touched snow for the very first time! And all he can say was, "Parang yelo lang sa freezer!" Day two... photoshoot around MBC Dramia, saw Koreanovela characters live! 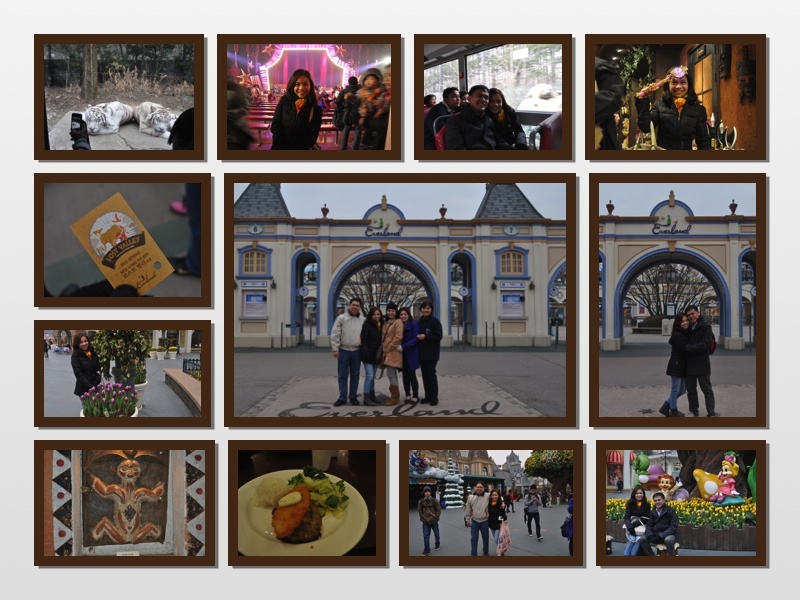 ... watched shows and went to the safari at Everland Theme Park... gone up the observatory of the N Seoul Tower. Highlight of my Everland visit: Sailor Moon's wand! See upper right picture. Moon crystal power make up! 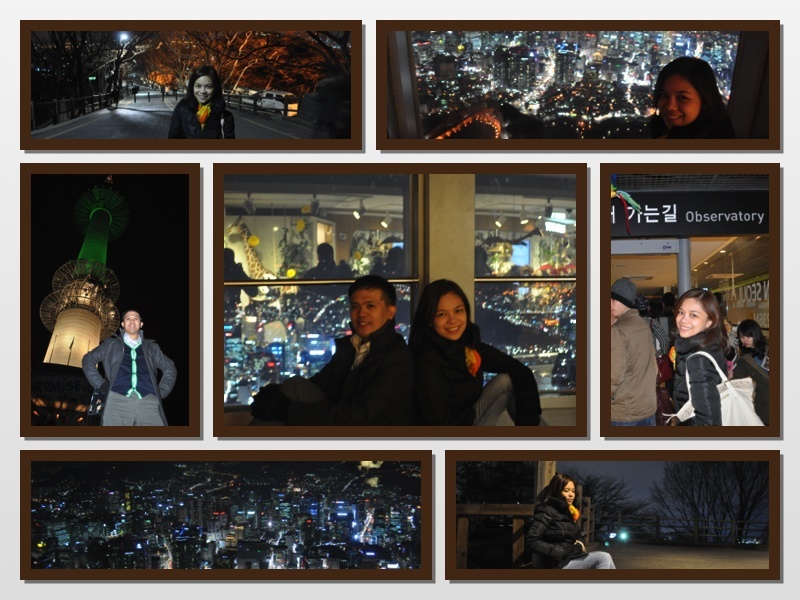 Imitating Jun Pyo (of Boys Over Flowers) in lower right picture. That part where he's waiting for Jan Di in front of the tower. 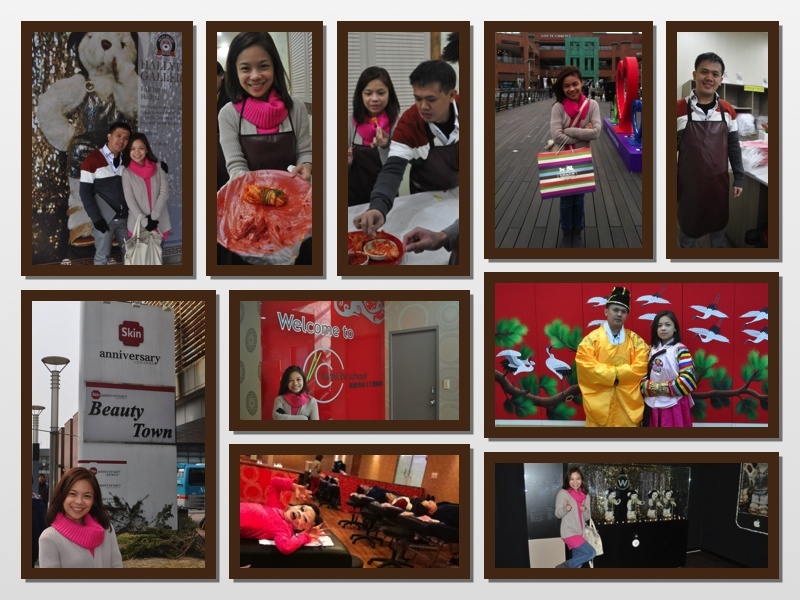 Korea is officially where I tasted the best-tasting strawberry in the world! Bottom row, second picture from left. ... being able to visit places where famous koreanovelas are shot such as Nami Island (Winter Sonata) and N Seoul Tower (Boys Over Flowers). ... Korean food! I literally never went hungry in Korea. Their food is a little spicy, which really captured my taste. ... learning Korean phrases like Annyeong Haseyo, Kamsa Hamnida, and Saranghaeyo, which means Hello, Thank you, and I love you. Annyeong Haseyo can also mean good morning, good afternoon, good evening, and goodbye. ... running and getting stuck in a mound of snow to take a picture with my husband. 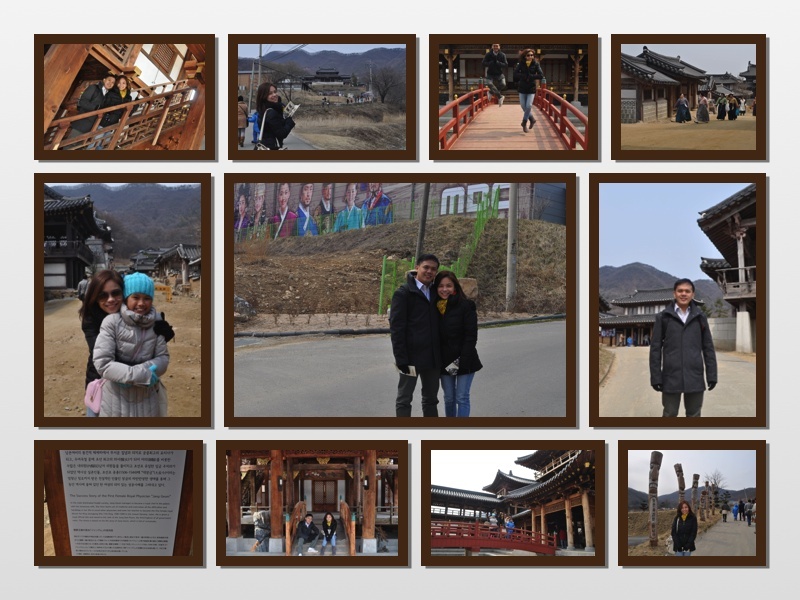 ... learning about Korean history from our tour guide during long drives. ... eating street food at the Korean wet market. ... seeing a Liger for the first time (cross breed of Lion and Tiger). ... holding hands (or gloves???) with the husband throughout the trip. ... braving the cold weather at the outdoor premium outlets to purchase the perfect souvenir bag. ... experiencing a hi-tech toilet bowl for the first time! heated seats with automatic bidet. heated floors too! ... getting a Korean facial. ... wearing the traditional Korean outfit, Hanbok. ... learning how to make Kimchi. Here's wishing for more savings to get to take more trips!